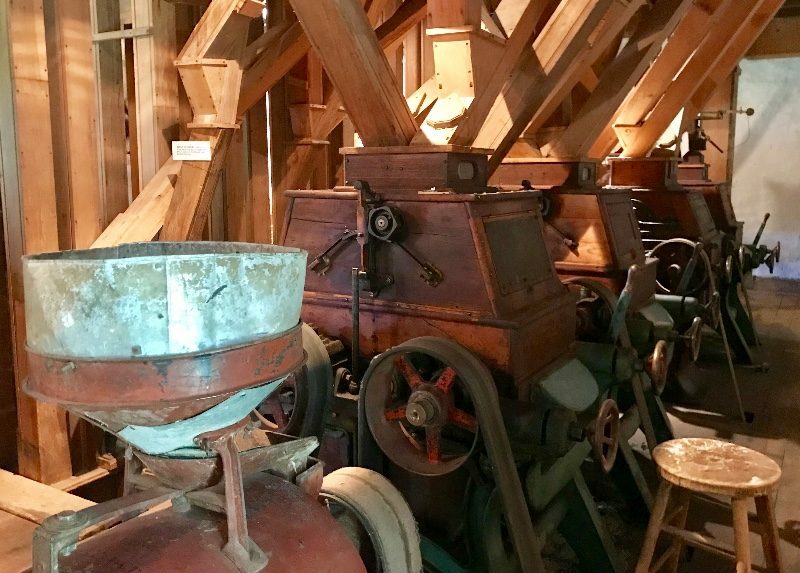 This mill used rollers, instead of stones, for grinding the wheat into flour and required fewer workers than other types. 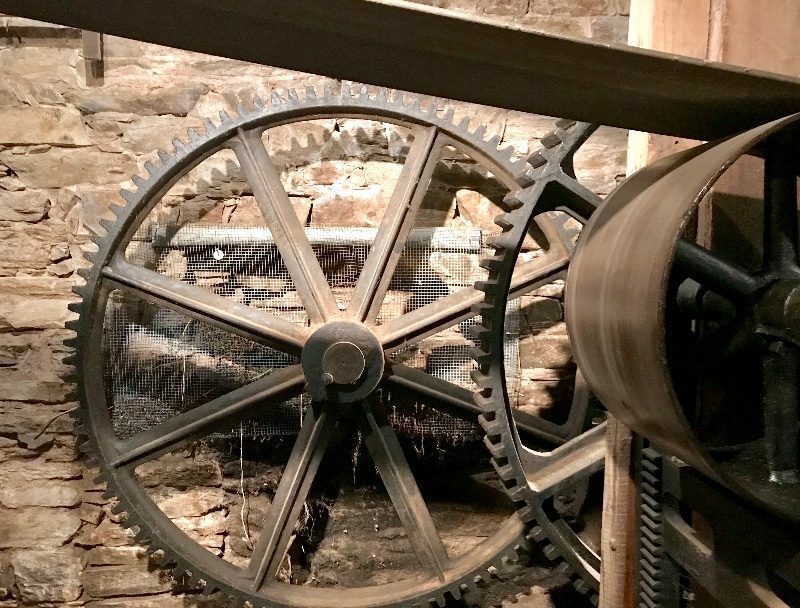 There seemed to be untold hundreds of gears, belts, pulleys, chutes, and processing machinery in the cavernous building. None of which I understood; except that separating, filtering, and bagging were some of the steps. 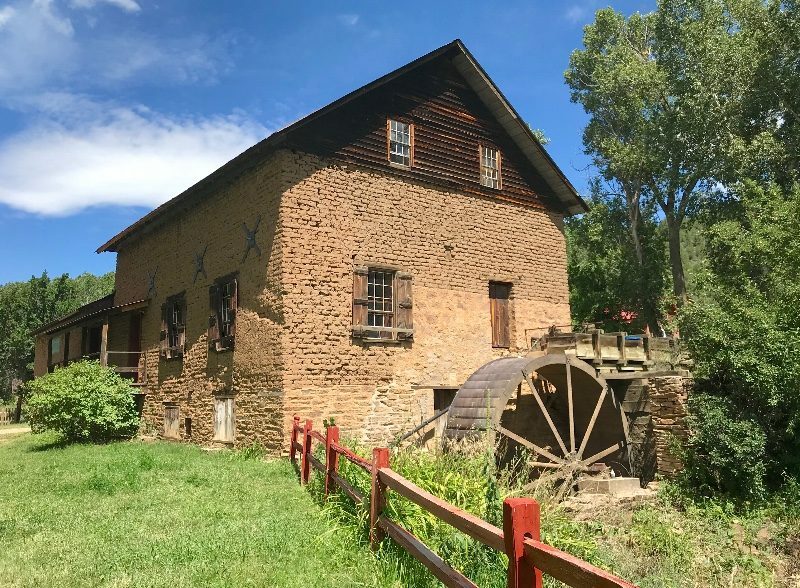 During its heyday, the Mora Valley was considered the breadbasket of New Mexico. 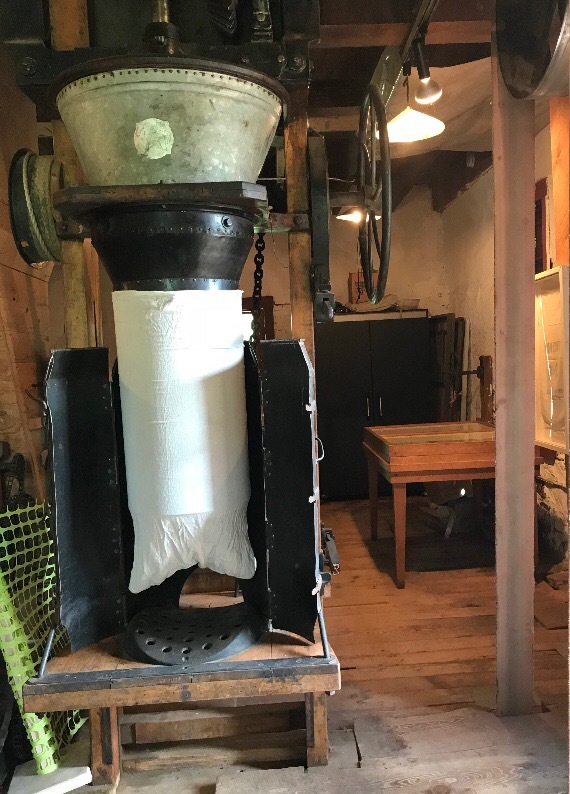 Since cash was hard to come by, farmers would pay for the grinding by giving a percentage of the flour to the mill for it to sell. Often, they had to camp on the grounds for days waiting for their turn. 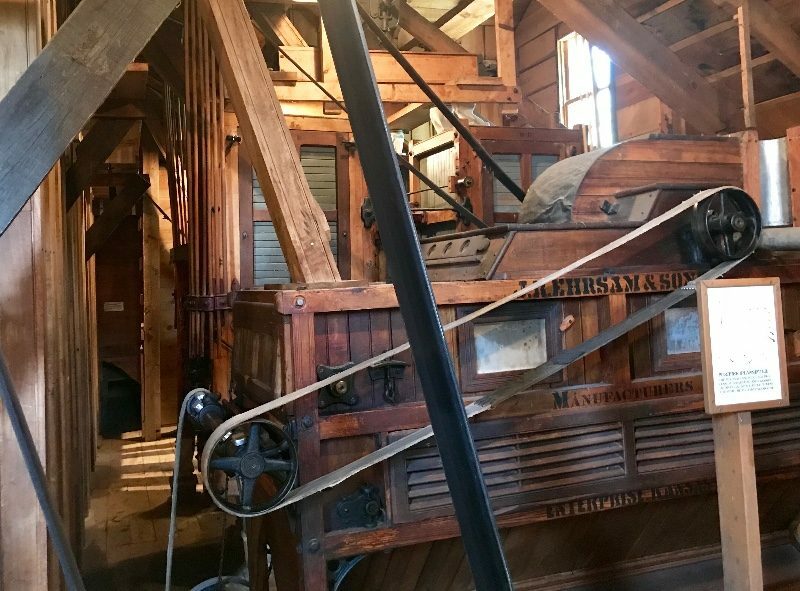 The original equipment is intact and restored, and can be operated for demonstration at certain times; such as during Millfest on Labor Day weekend. The building also now serves as a historical museum with nice exhibits, and a film about the period it was used. It’s an interesting part of history that has been preserved. I sure would like to see that in person. Thanks for the report. You’re welcome to come see, Barney. It’s pretty nifty.